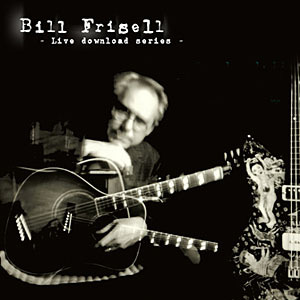 Heralded as a sonic innovator since his seminal work for ECM Records in the mid-eighties, Grammy winning, perennial Best Jazz Guitarist award recipient Bill Frisell has developed a rich body of work over the past two decades, guaranteeing him a place in the history books alongside his heroes Jim Hall and Jimi Hendrix. Fastidiously documented by Elektra/Nonesuch since the early nineties, Frisell's twenty plus releases for the label encompass everything from soundtracks for silent films to genre-straddling collaborations with Nashville session musicians. 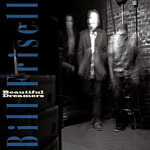 A departure of sorts, Beautiful Dreamers is Frisell's debut for Savoy and his first proper jazz album for an imprint other than Elektra/Nonesuch since 1988's Before We Were Born. 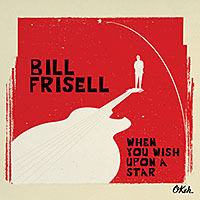 Produced by longtime associate Lee Townshend, the record features Frisell's two year old working trio of violist Eyvind Kang and drummer Rudy Royston. 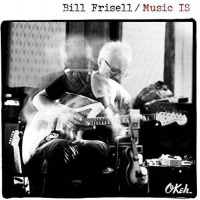 Similar to the enigmatic ambience of Quartet (Nonesuch, 1996), Frisell's first date with Kang as a sideman, this stripped down session eschews the electronic fireworks of the guitarist's early days in favor of an understated electro-acoustic sheen. Following a well-worn path through surreal Americana, this collection alternates bucolic panoramas with dark hued gothic vistas. Ethereal and spare, with periodic interludes of spry activity, the sixteen tunes that comprise the album are models of brevity and sonic restraintyet hardly indicators of the trio's expansive diversity, as suggested by contemporaneous concert reports. This paradox is symptomatic of almost all of Frisell's later period studio recordings. Far more dynamic on stage, Frisell's meticulously crafted studio albums often sound overly reserved in comparison with his live shows. The languid lyricism of tunes like Stephen Foster's winsome "Beautiful Dreamer" and the sonorous "Who Was That Girl?" set the tone for the majority of the session, with moments of vibrant clarity often found in the work of other authors. A delightfully quirky version of the sixties pop standard "Goin' Out of My Head" and stirring covers of Benny Goodman's "Benny's Bugle" and Blind Willie Johnson's "It's Nobody's Fault But Mine" convey as much buoyant energy as Frisell's own jaunty originals "Winslow Homer" and "Better Than a Machine." Whether careening through the ebullient "Keep On the Sunny Side" or delicately underscoring the melancholy swells of "No Time To Cry," Kang and Royston provide sympathetic accompaniment and nuanced interplay to Frisell's subtly melodic, harmonic and rhythmic eccentricities. 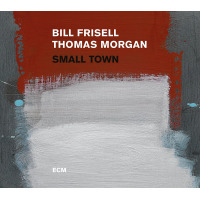 Since the turn of the Millennium, Frisell has become renowned for his cinematically eclectic interpretations of blues, country and folk forms, having long gravitated away from the uncompromising eighties-era Downtown scene led by composer John Zorn. Despite the shift to a new label, Beautiful Dreamers fits seamlessly into the arc of Frisell's oeuvre, opening a new, albeit familiar chapter in his discography. Track Listing: Love Sick; Winslow Homer; Beautiful Dreamer (for Karle Seydel); A Worthy Endeavor (for Cajori); It's Nobody's Fault But My Own; Baby Cry; Benny's Bugle; Tea For Two; No Time To Cry; Better Than A Machine (for Vic Chestnut); Goin' Out Of My Head; Worried Woman; Keep On The Sunny Side; Sweetie; All We Can Do; Who Was That Girl? 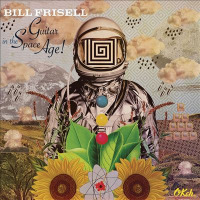 Personnel: Bill Frisell: guitar; Eyvind Kang: viola; Rudy Royston: drums.